The New Tech Network transforms tranditional schools into powerful learning environments to support deeper learning for students. What if school engaged and inspired? What if classes offered real-world, relevant, authentic learning experiences? What if students could develop the skills most valued by employers? Transformed schools exist today. At New Tech Network, students are problem solvers and creators. They learn to collaborate and communicate. Through challenging, authentic projects, they learn to explore, adapt and engage the world around them. New Tech Network (NTN) is a leading design partner for comprehensive school growth. 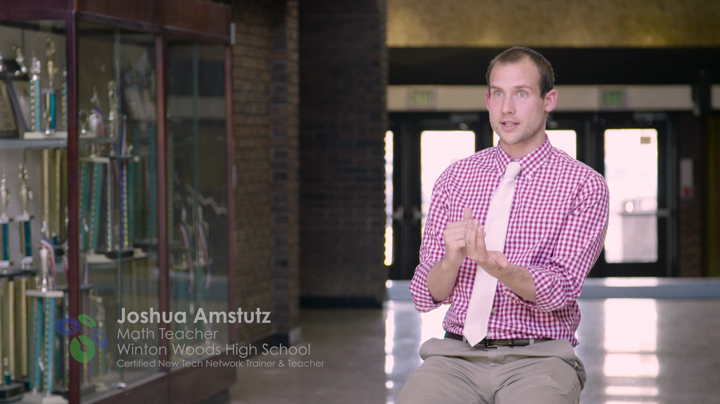 NTN works closely with districts and schools to create innovative learning environments. Through a proven school model, a project-based learning platform and powerful professional development, the NTN coaches schools toward lasting change and sustainable improvement. The network continues to grow because NTN’s school model is effective at producing powerful student results. NTN’s robust national network of schools consistently develops students that can think critically, manage their own learning, collaborate and communicate effectively. .
NTN has developed a comprehensive school model, a proprietary learning management platform, tools, resources, training events and implementation plans delivered by an exemplary team of coaches that enable school districts to reinvent schools with their local teachers through a multi-year partnership. While many organizations aspire to improve instructional practice, NTN’s approach creates and sustains changes to instruction across an entire school by also helping to positively impact the conditions that surround teaching and learning. With a growing network, a proven model and a demand for more district-level support, NTN is a catalyst for rapid innovation, improvement and scale. Public school districts are now turning to NTN to support the spread of innovative practices across multiple schools at all grade levels. At Winton Woods High School, the implementation and success of the first graduating class of the New Tech Network embedded within the Academy of Global Studies was a clear indication for the direction of our district. Our mission now is to strategically expand and embed the New Tech Network in every school for every student, every day. This unique approach to learning will give our students increased opportunities to be positive contributors, innovators and leaders in our community and in our world. WEEK 2: WHAT IS THE NEW TECH NETWORK?